The government keeps former LTTE arms procurer Kumaran Pathmanathan alias KP in safe custody to use him at the right time at the right place to counter UNHRC allegations and fight international propaganda against Sri Lanka in Geneva and elsewhere, General Secretary of the UPFA, Environment and Renewable Energy Minister Susil Premajayantha said. 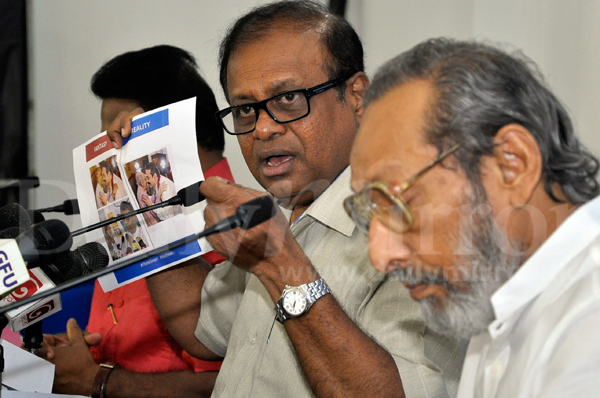 Minister Premajayantha said the opposition had stooped to the lowest level of misinformation and disinformation as a picture of President Rajapaksa has been distorted to give a wrong impression to the public. “In the genuine picture taken during a birth day party of Sri Lanka’s doyen of cinema, Dr. Lester James Peiris shows that President gives a hug to Dr. Peiris to congratulate him. 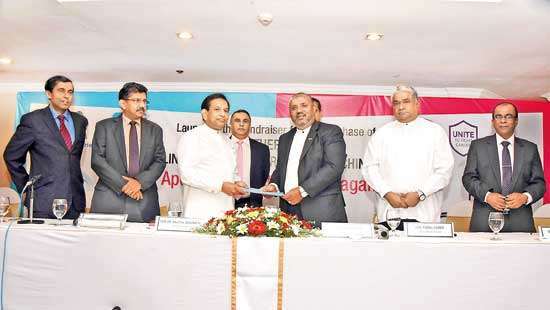 But in this altered picture shown by the opposition, the head of KP has been super imposed to the head of Dr. Peiris to give a wrong impression that President hugs and greets KP, which is highly offensive,” Minister Premajayantha said. 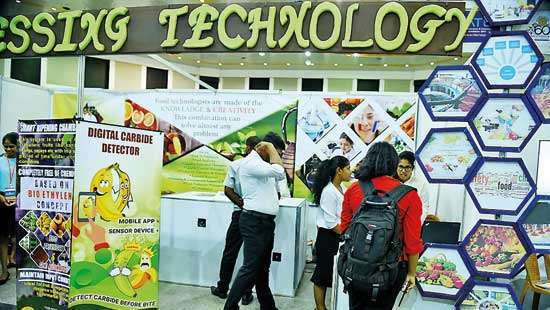 Champika is this the new generation Technology you were talking about? Shame onYou and blame on your parents who produce you? Susil, Do you really think we are fools to beleive you. This is desparate last attempt to sFeguard your boss. On the 9th Jan your new boss is nobody other than MY3. 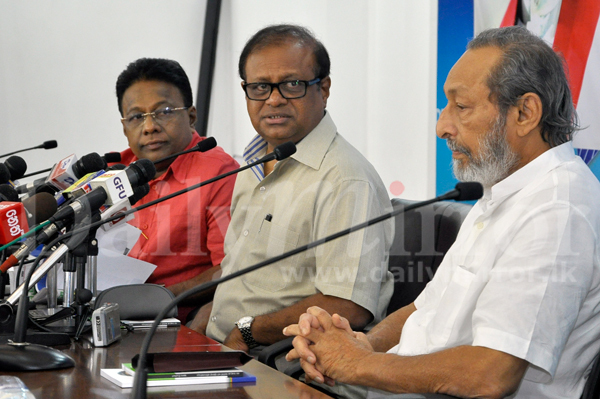 Mr.Susil, what about that document Mr. Tissa Arthanayake forwaded to the media on the day of Postal voting saying an agreement between ranil and My3Is it not the lowest level of misinformation and disinformation to give a wrong impression to the public. What kind of explanation is this...? a small kid in a KG will know the reality. mys supporters, truth must be difficult to swallow then. this isnt bad as the Kid who cried on ITN..what do you have to say about that Susil...could you take up that matter too,..i will sure vote for whom ever u ask me to vote for..
Patali Champika became main clown of the opposition. He every day giving some illogical statements. You say you are keeping KP for providing evidence in support of your handler. What a joke. KP will also have to face charges for mass man slaughter in a International court. DEAR SUSIL STUPID YOU ARE TO LIE>WHAT EUCLID SAYS IS THE TRUTH> GET DAMNED WITH YOUR PUPPET LIES. Champika losing credibility and sinhalese votes. 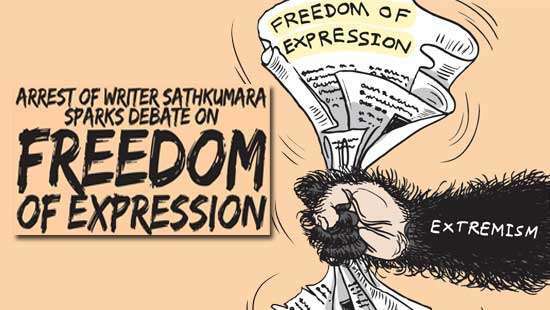 dear susil, you are just helping the sri lankans to remind again and again that guys protect KP, the current LTTE leader and you guys last cked up General Sarath Fonseka.by the way, if you are using KP to protect evidence, why is he allowed to leave the country?also you are twlking about protecting evidences. 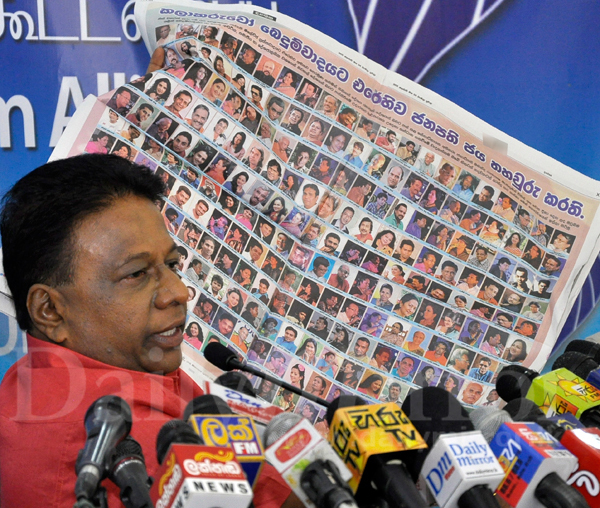 you have forgottrn that you destroyed evidence of the murder of Mr. Lasantha Wickramathunga even before his post mortem. If president could provide luxury shelter to KP what harm if hugs?This is peanut comparing to the gravity of things govt is doing to bring disrepute to My3.